I was surprised to see on the side of my bagel packet this morning the aftermath of an emotionally charged drama, as heart-wrenching as anything seen since Sophocles. It appears the New York Bakery Company’s recent habit of pre-slicing the bagels has been discontinued, due to some kind of wild public outcry. We have been listening to your feedback about our recent decision to stop slicing our Plain [capital ‘p’ – are you sure? Ed] bagels. We’re sorry that some of you are disappointed with our decision – trust us, it wasn’t taken lightly. 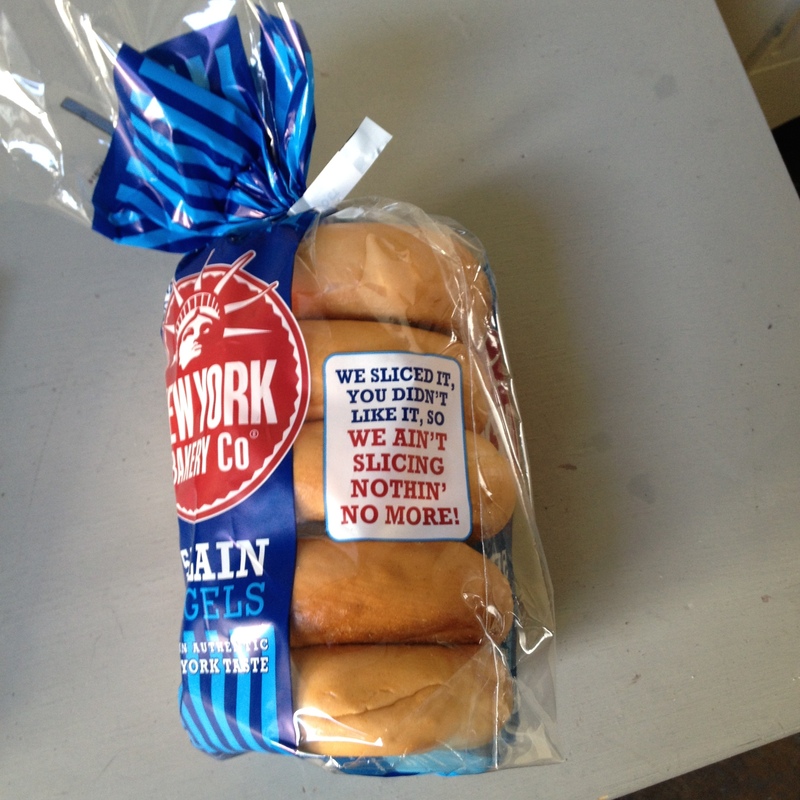 But we know that pre-slicing affected the quality of our bagels and here at New York Bakery Co. that’s what we’re all about, no compromise. That’s why our original, unsliced bagel is back. We just wanna make the best bagels we can. They wanna and they’re gonna. And I gotta say, I’m glad they did it. And if you’re going to do it, do it with the chutzpah for which New Yorkers – and people who live in Rotherham – are renowned. Cos they ain’t slicing nothing no more. The customer is always right. This entry was posted in 21st Century Britain, Brand communications, Semiotics and tagged brand communications, brands, packaging, pop culture, social media, society. Bookmark the permalink. The customer is wrong!! Sliced bagels were the best thing ever. Peel apart, put in toaster, butter and eat. Now we are back to hacking open the bagel unevenly, crumbs everywhere and one half always being burnt as it is thicker than the other side. 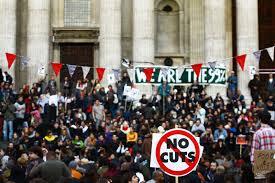 I think a demonstration is in order with banners reading WE WANT CUTS. I know 3 people who would join the cause!! Their old approach just wasn’t cutting it anymore … their innovation was so rated as to be worth doing. It obviously had NOTHING to do with saving money … but did they perhaps also make the hole 1mm bigger?